HanStone Quartz is an innovative combination of quartz to produce a luxurious yet durable stone surface. It’s a gorgeous blend of different sizes, types and colors of quartz crystals, thus giving you desired hues while capturing the essence of natural colours. Non-porous – The material is naturally non-porous. Therefore, no sealing is needed either during manufacturing or later in the life of the countertop. You do not have to worry about harmful germs contaminating your food. It also makes the countertop more stain-resistant. Unquestionably gorgeous – As the manufacturer puts it, the countertop has the beauty of marble and the strength of quartz’. The kitchen is a focal point of most homes. Within its vast collection of designs, you are guaranteed to find a look that is perfect for your kitchen. Scratch resistant – Another feature of Hanstone quartz is its ability to resist scratches. While other materials such as bamboo scratch easily, Hanstone quartz shows high resistance to scrapes and scratches. That being the case, it is still advisable for you to not to cut up ingredients directly on the surface. Is my Hanstone Quartz really scratch resistant? 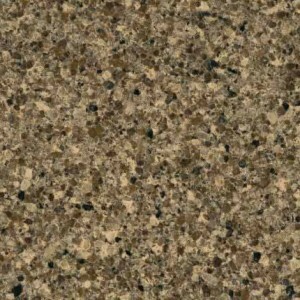 Is Hanstone Quartz heat resistant? Can I use Hanstone Quartz for my garden table top? Yes, if you want it to fade. Hanstone Quartz is recommended and best used indoors as strong emissions of ultraviolet rays will discolor it. What’s the proper care and maintenance for my Hanstone Quartz? Use a soft microfiber cloth to dust off the Hanstone Quartz quartz surfaces. Also, use a damp cloth (lightly dipped in water) to wipe daily / when needed.